ceremony for the 8th graders who have completed their Bill Koch years. want to arrive Friday night. Nordic Center in Ripton, VT (approx. 15 mins. from Middlebury). Opening parade at Great Glen New Hampshire. 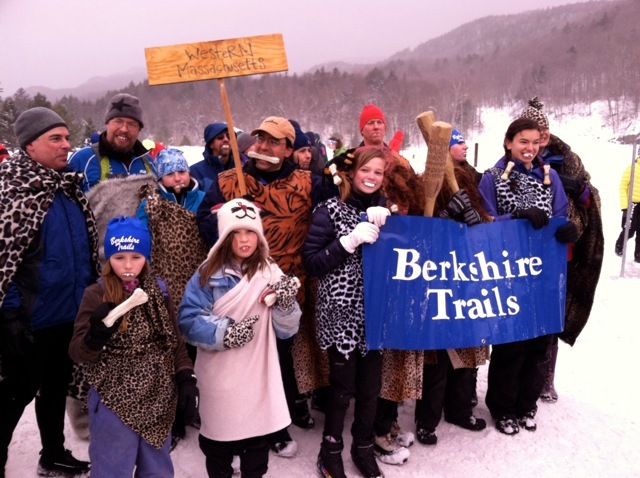 Club members were dressed as cavemen skiers. 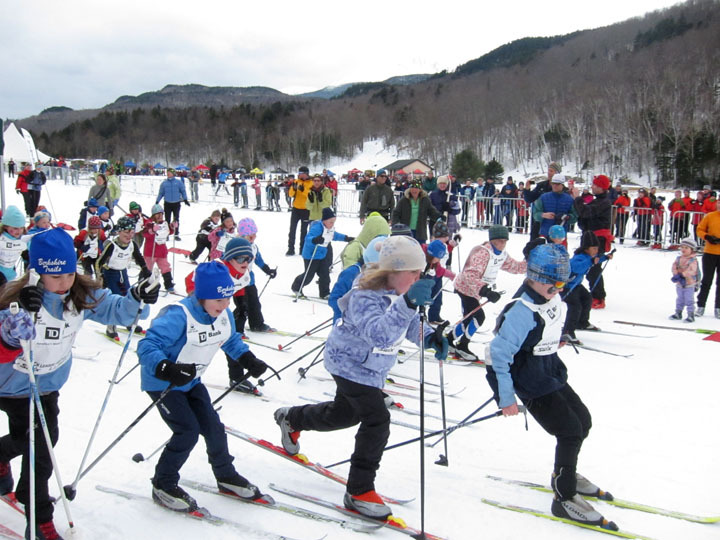 Berkshire Trail kids in the lollipop race at a Bill Koch Festival, Great Glen, New Hampshire.